﻿Do you know about the Health Resource Center (HRC)? The HRC is a community resource that provides great education and information on health conditions. Have you been diagnosed with heart failure and need some tips for eating properly? The HRC has a class for you! Has a loved one been recently diagnosed with diabetes and you have questions? There is a class for that too! Most classes are free but you do need to sing up. Go to mountainstateshealth.com for the current calendar. Are you affected by someone else's addiction? Do you need someone to help share your experience, strength and hope with? Don't be alone! 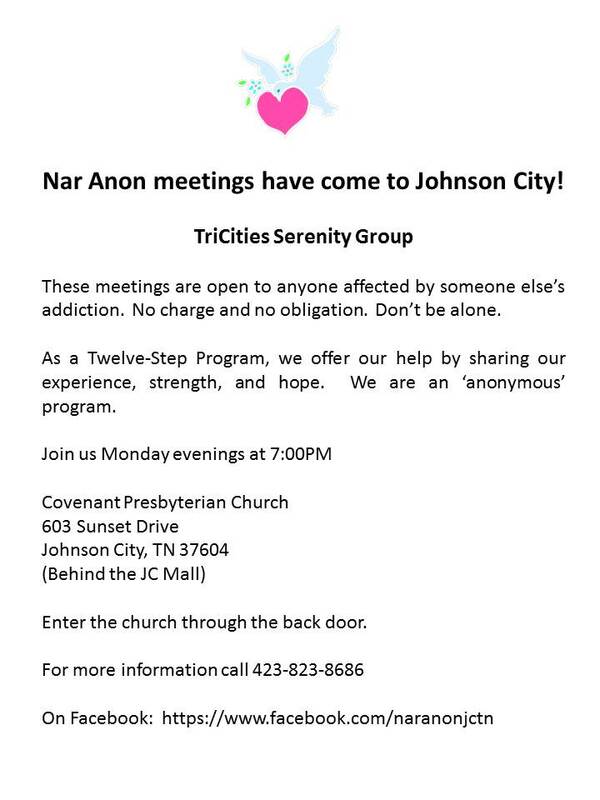 Nar Anon meetings are in Johnson City. Click ﻿here﻿ for more information.